When you integrate mindfulness into your process of making peace with food, you approach healing your relationship with food in a whole different way. If you have been struggling with emotional eating, stress eating or are frustrated by the weight loss and regain that happens with the dieting roller coaster, this approach may be just what you are needing. Mindfulness offers a different way to approach shifting your relationship with food so that, well—food can be just food. How much mental and emotional space would open up for you if you no longer had food on the brain what feels like 24/7? Most likely A LOT! Mindfulness offers five super useful ways to begin to integrate as you approach making peace with food. Mindfulness is paying attention from moment to moment with a non-judgmental awareness. When you are fully engaged with the present moment, the worries about future stress related to food, such as what to eat, how many calories are in this or that food, fantasies about restricted foods all but slip away. When you are fully engaged in the present moment, the worries about past stress related to food, such as, “I shouldn’t have eaten that, I overate on that, I already messed up my day” and so on, slip away. When you are truly engaged in the present moment, that is ALL that can exist, the here and the NOW. What are you doing right now? Can you focus on and just do that? Try allowing your thoughts/fears/reactive responses related to food no longer control your mind, your emotions and your inner world. Engaging fully and completely with the present moment may seem simple, but it is definitely not easy. This is a practice and requires time, effort and dedication to build as a practice. When you do, you will find your ability to create a sense of inner peace grow, which will transform your life for the positive in so many ways. When you are emotionally eating you are eating out of an unconscious—or maybe conscious—desire to escape emotions. While most often this escape happens subconsciously, before your conscious mind is even aware of it, mindfulness helps you become more consciously aware of your emotions, thoughts, feelings and actions. When you are being mindful, you are able to witness, explore and understand your emotions in a whole new way on a whole new level. When you give yourself space to witness your emotions, you reduce your fears surrounding feeling uncomfortable. Giving yourself an opportunity to explore and understand your emotions allows you to know why your emotion has shown up in the first place—whether it is a comfortable or uncomfortable emotion. Emotions are valuable information about your experience of the present moment and are necessary to assess how to respond to the variety of circumstances you experience on a daily basis. When you are mindfully present with your emotions you are more likely to become aware of the why behind your emotions and no longer feel the unconscious pull towards food on such a deep level. When you are experiencing an emotion over and over and it builds and builds and you do not directly attend to the needs of the emotion, at some point it will blow. You may find yourself unnecessarily irritable with loved ones or unnecessarily hard on yourself. When you eat your feelings without acknowledging and understanding them, they don’t just go away! When you eat to numb your emotions, you create a domino effect of uncomfortable emotions. Eating emotions is stuffing them. They will come up and come out at some point, no matter what. However, the more mindfully aware you become of your emotions, the more able you are to respond to them in a healthy and effective manner. When you are less reactive out of your emotions, you have a choice on how to respond to your emotions. This creates empowerment and reduces the need to soothe with food. When you are non-judgmental, you are not assigning any emotional response to your emotion, your food choices or yourself. When you create an experience of non-judgment you create true freedom. Think about being able to look at food and not assigning it as good or bad based on whether or not it is a “health” food. Think about food just being food. What would it be like for you to no longer internalize the feelings of eating something you label as “bad” and that causing an uncomfortable feeling of guilt, of feeling as though you are a bad person? This is a powerful shift in perspective and in your ability to experience food, eating and yourself without added tension resulting from judgmental thoughts. Non-judgment opens you to being able to reduce stress surrounding your food choices, which ironically leads to less overeating and often more preference for nutrient dense foods. When you no longer assign food labels such as “good” or “bad” you can concentrate on just how the food makes you feel. You can focus on what this food has to offer you and whether or not that is in alignment with your own personal wellness goals. You can make a choice surrounding food without judging yourself or feeling as though there is something you have to do to make up for or justify your decision. You don’t have to feel morally superior or deprived if you choose a salad over pizza. Try viewing your food as simply food. Ask your food what it has to offer you. Try not to assign emotions to your choices and notice the powerful impact. 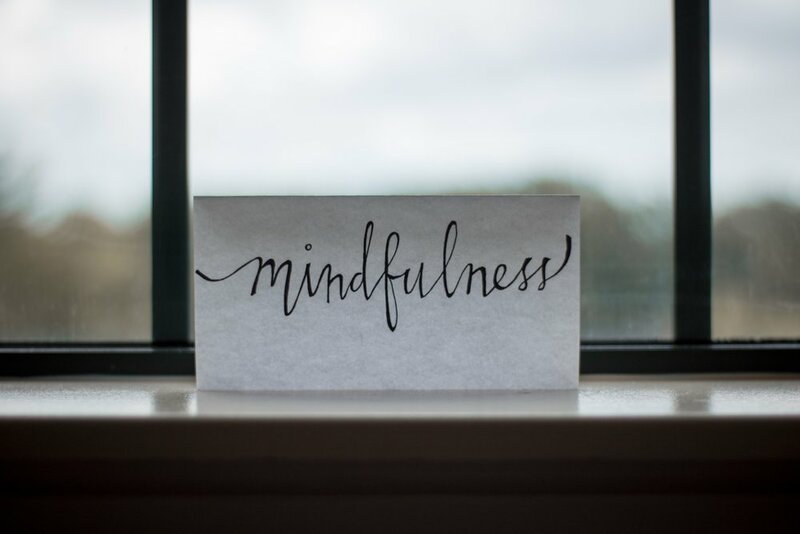 Lastly, the fifth way that mindfulness helps you to make peace with food, as well as with yourself, is that you create a deeper mind-body connection and awareness. When you are frustrated with your body, your weight, and your choices this can create an internal experience of disconnecting with your body. When you are not aware of your body you lose touch with your intuition. When you have been stuffing emotions for along time, they can become unbearable to experience internally. This causes the disconnection between mind and body to grow and grow and you then struggle to assess your food-mood connection. You may no longer be able to accurately notice how different foods make you feel. Most importantly, when you disconnect from your body you disconnect from your hunger and full cues, you disconnect from the pleasure of eating as well and never feel truly satisfied. When you are being mindful with the process of eating and when you are mindfully aware of your body, you can assess your feelings accurately on all levels. Ideally, we want to be hungry when we eat, we want to stop eating when we are full. We want to eat for nourishment and pleasure, not for self-soothing and avoidance or simply to become full. 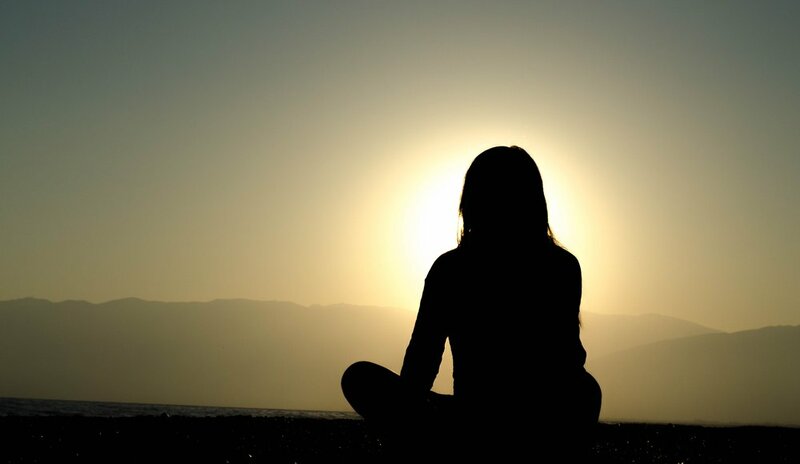 The mind-body connection is quite powerful and the more you practice mindfulness the more you will strengthen this powerful connection. Has mindfulness made a big impact on your life for the better? I’d love to hear your story!